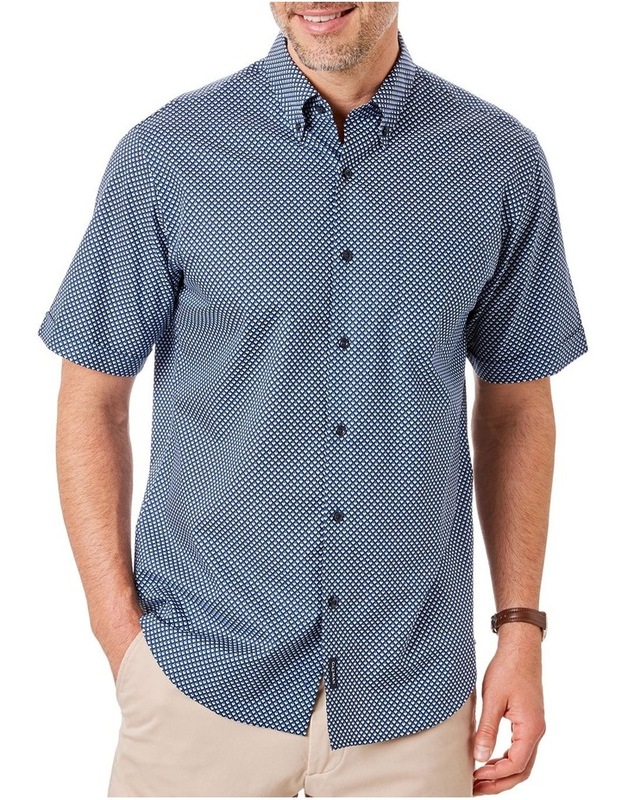 Own your warm weather style with our navy short sleeve shirt. 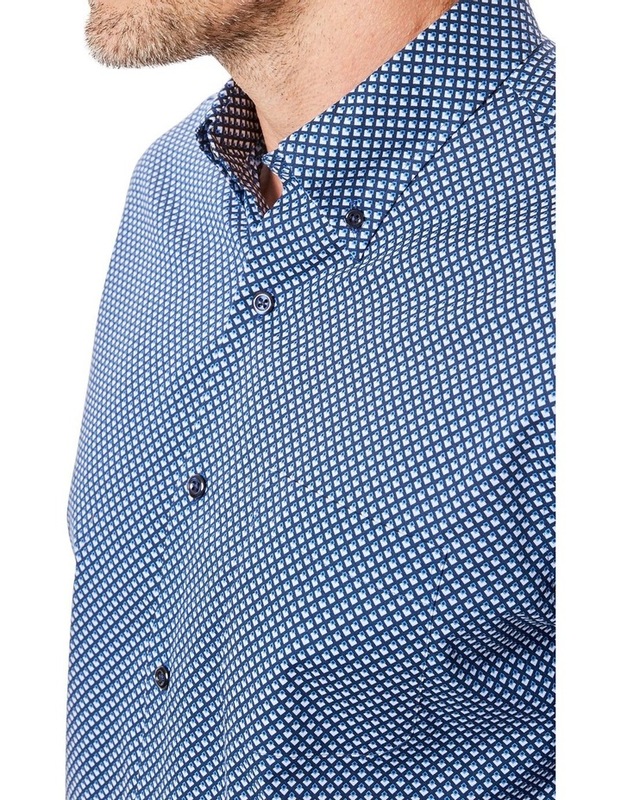 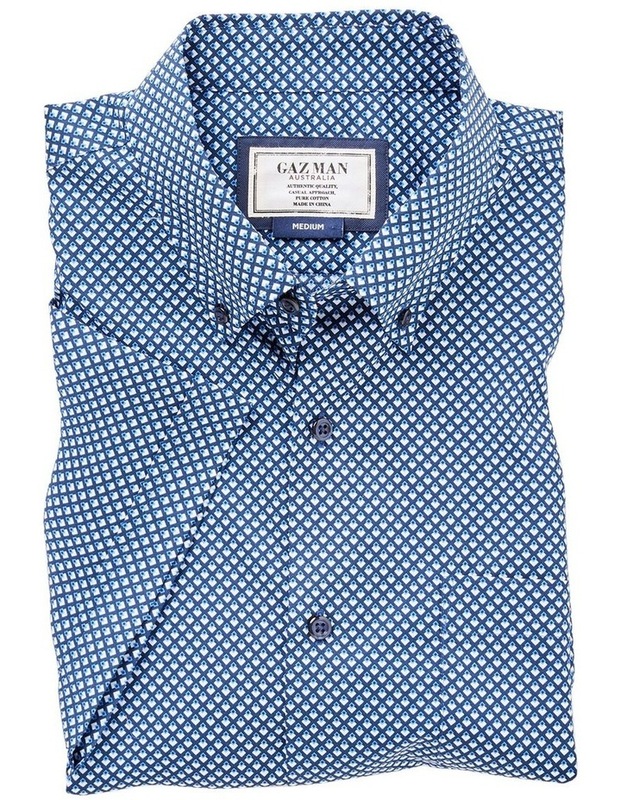 Featuring a white and blue geo print, this pure cotton men's shirt will give you a polished look no matter what the day brings. 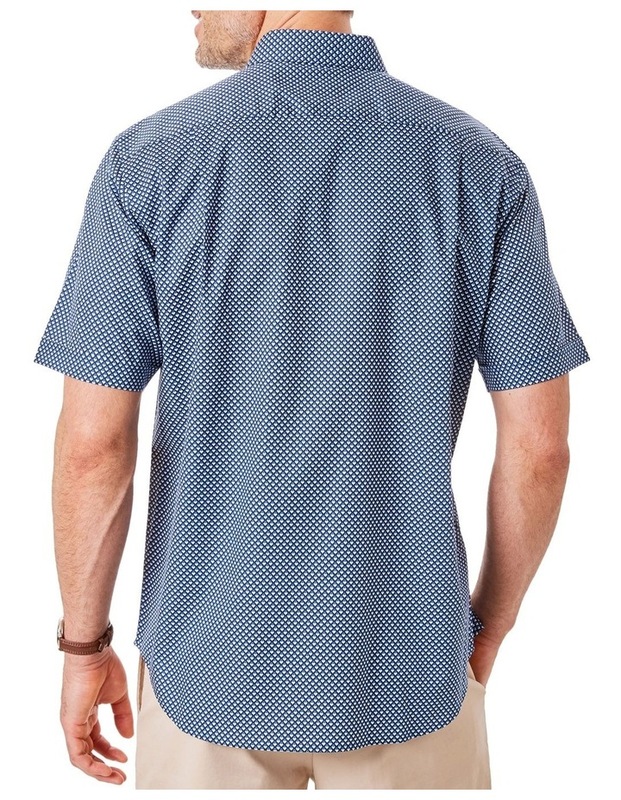 Wear yours with light chinos or a pair of tailored shorts.